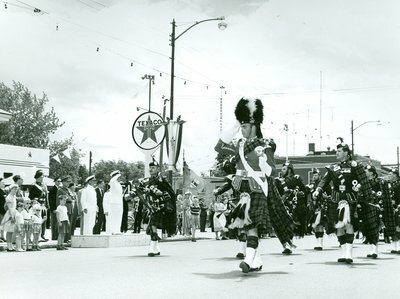 How long have you lived in Oakville, and in what decade did you grow up? 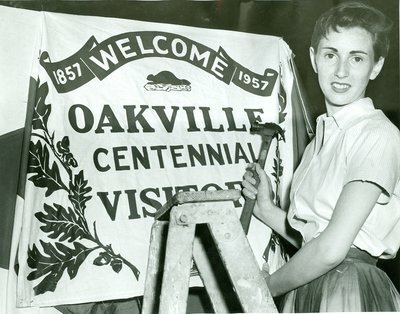 I grew up in the 1950’s and I lived in Oakville for 47 years until I moved to Mississauga. Where in Oakville did you grow up? Can you describe it? How has it changed? I grew up in Old Oakville. There were lots of old trees and small houses. Most of the old buildings where I lived have been torn down, but my house is still standing. How did your family come to settle in Oakville? My family first came to Oakville in 1820 from England. We don’t know why they chose Oakville, but there could have been a relative living there already. 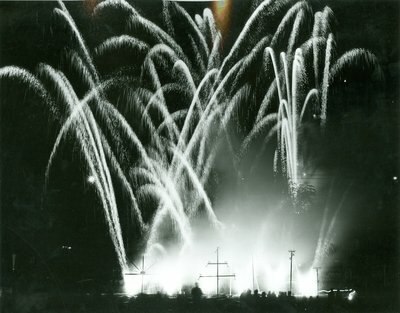 Do you have any stories about how major historical events affected your family, or Oakville as a whole? During both World Wars, Oakville was a large troop supplier. 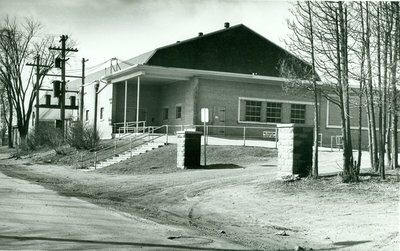 There were barracks set up in northern Oakville. Also, during the First World War, my grandfather, who was from Oakville, went overseas and met my grandmother. He came home after the war, went back to France, married her, and brought her back to Oakville. What was Oakville like when you were 13? It was really different. It was a nice town, and safer than today. It was also less urban. It was much different than today. There were lots more trees for one thing. The city limits were also smaller. The houses were a lot smaller, but there were huge farms nearby to them. Where did you go to school, and what was a typical school day like? I went to Brantwood Public School. In the morning, we sang God Save the Queen and O Canada. We also said the Lord’s Prayer. There wasn’t really a lot to do in Oakville. In the winter, we went skating. During the rest of the year, and during the winter too, we went to friends’ houses. I don’t know what the boys wore, but the girls wore gold cotton shirts and ski pants. Where did you like to hang out with friends? We went to Lakeside Park and each other’s houses. Were you involved in any clubs, teams, or organizations? I went to the Girl Guides and YWCA. The first job I did was babysitting. How has Oakville changed as a whole since you were a teenager? It’s changed a lot. It is larger, there’s a lot more people, and it’s become more urban. The houses are also a LOT bigger. Where were your favourite places in Oakville? Are they still there? How have they changed? 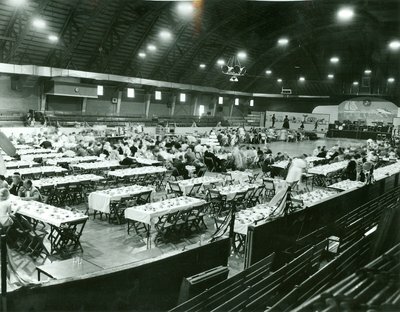 Lakeside Park and the Oakville Arena were my favourite places. 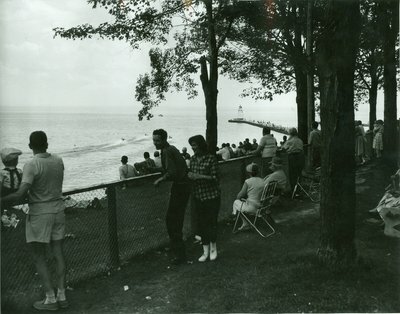 Lakeside Park hasn’t changed much. I haven’t been inside the Arena lately, but the outside looks the same. Can you remember any gatherings, festivals, or community events? Where did they take place? Do they still happen? 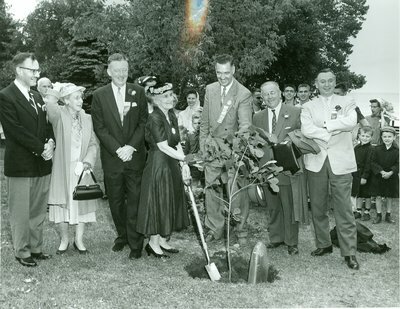 Oakville’s hundredth birthday in 1957 was an event I remember. I also really liked going to the carnivals that would happen in the summer. They don’t happen anymore. There really isn’t a single best memory I have, but I loved my teenage years. Did your parents ever talk about what their lives in Oakville were like? Such as first impressions of Oakville, what the town looked like, etc? My grandfather told me that he enjoyed running in races and playing sports. He also said that Lakeshore Rd. was just a dirt road with loose wood planks for a sidewalk.